50 Cent's son had his fourth birthday party on the weekend, with the theme being Teen Titans. Bonus: the kid got his parents to dress up. 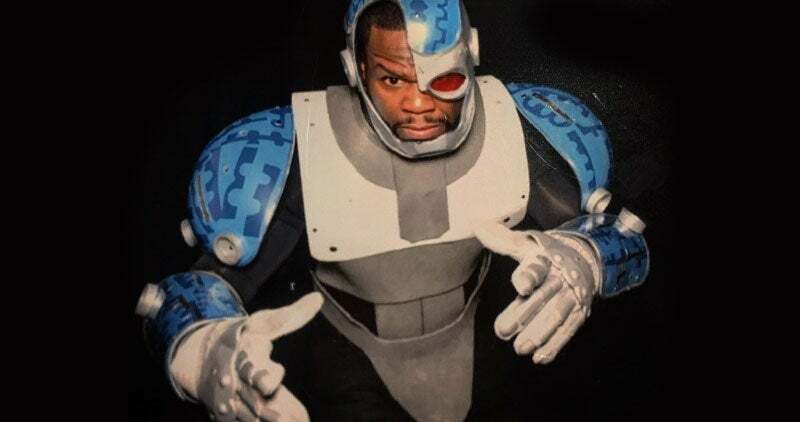 So 50, aka Curtis Jackson III, was Cyborg, while his mother, Jackson's ex Daphne Joy, went as Starfire. Robin and Raven were also in attendance. Teen Titans @SireJackson_ #SquadGoals #HappyBirthdaySire ???? Loved this show more after its run. I didn't fully appreciate it at the time, Teen Titans Go is of course out now, so I'm making up for lost time. It did/does cop a lot of hate, my guess because the more serious versions were still so popular. I'm not much of a DC fan, but I had the TV on the back ground and heard a familiar tune. It was the music from the Never Ending Story and I looked up to see Starfire riding an enlarged Silkie, superimposed over real clouds. I laughed pretty hard at the reference and it occurred to me that the shows target audience might not get it. Bit of a casual fan after that. Okay, that's kind of awesome. But in terms of "badass dad shows interest in his nerdy kid's hobbies", nothing will ever beat Terry Crews.